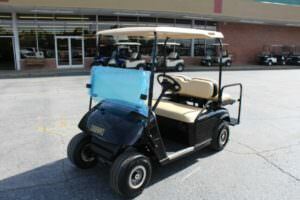 Have you wanted your OWN golf cart? Well here’s your chance! Lister, Jeter & Lloyd CPAs are sponsoring a Golf Cart Drawing to benefit Greer Relief. Tickets are $50 each, golf cart valued at over $3500*. Proceeds go directly to eliminate poverty by helping neighbors overcome barriers for success. *Valid for prize only, not cash. Need not be present to win. Winner must possess the winning ticket to claim prize. Drawing to be held on facebook Live! @GreerRelief at the Golf for Relief Awards Ceremony at the Greer Golf & Country Club, Friday, September 21st. Congratulations Buddy Balliew! You have WON the 2018 Lister, Jeter & Lloyd CPAs Golf Cart Drawing to benefit Greer Relief! If you have any difficulties please call Bill 864.334.3491 / bill.roughton@greerrelief.org.